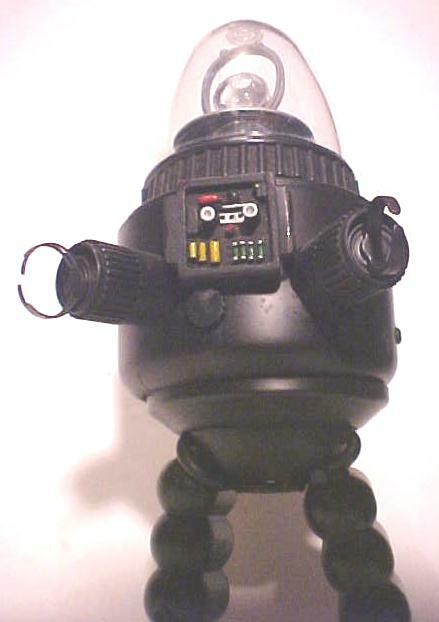 Robby "Krell" Robot, looks great just for fun with other Robot sci-fi collectibles! 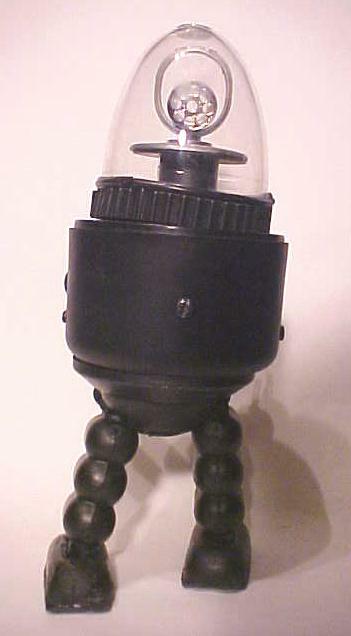 Made of Plastic, Metal & Tin stands approximate 10-inch tall. 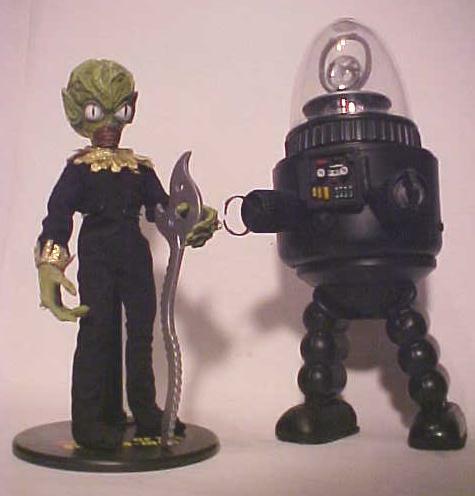 Shown With 8-inch SaucerMan for size comparsion. 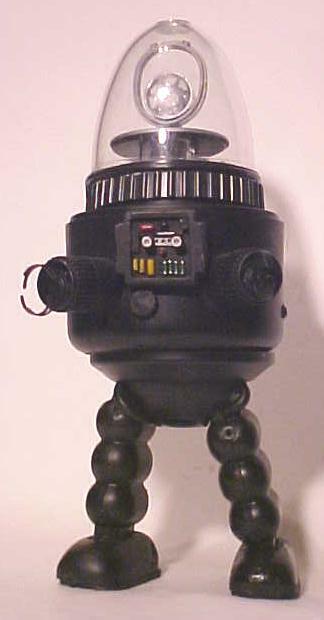 As battle or worker Robot. 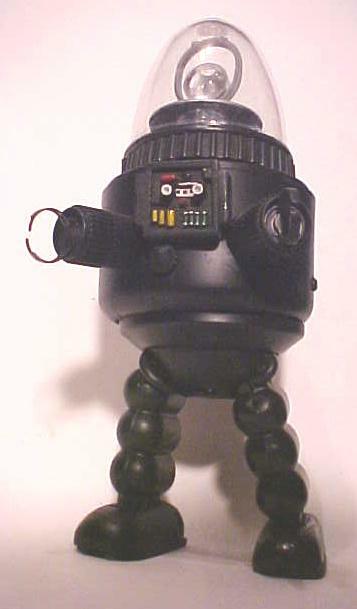 Robot's feet have bottom Layer of Rubber-Tread as thick bulky Robby-look! 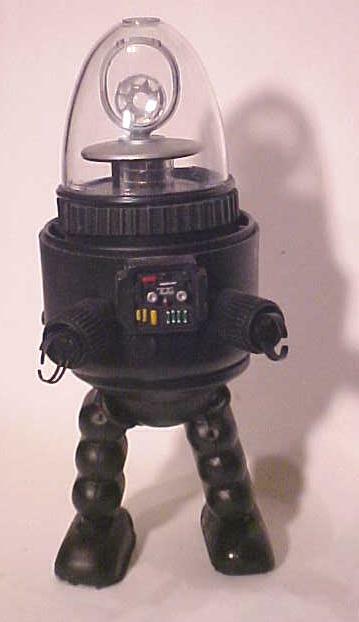 Robby also vERY popular with Lost in Space fans as appeared in two episodes! One of a kind item, great for display. Created by Jerry VonMueller.